Every dog owner knows that dogs are people too, and now you can make sure your dog is stepping out in style, and keep them warm at the same time. 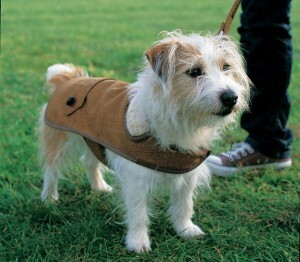 Short haired breeds and older dogs, in particular, benefit from an extra layer to keep them warm in winter. This coat’s woven tweed keeps out the chill on cold days, while its fleece lining makes it extra snuggly and soft to wear. 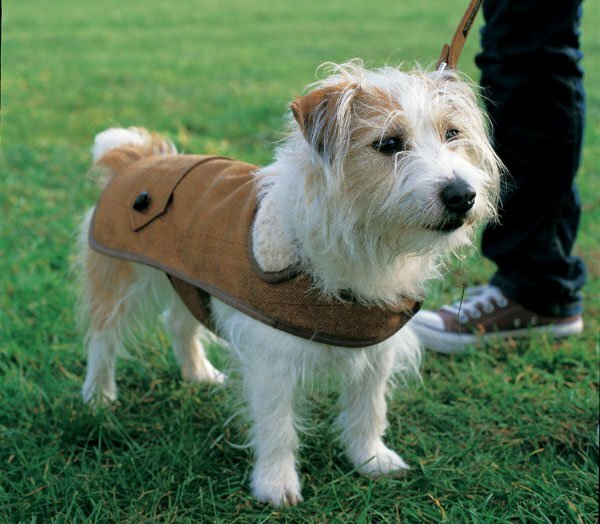 Tweed is the ideal choice for a country dog — perfect for romps through the woods and fields — but you can use any wool fabric for the outer layer. Something with texture and a pattern will make more of a statement, so think about your dog’s coloration, and choose a fabric that will complement his markings, to ensure that he’s the best-dressed hound on the hillside.